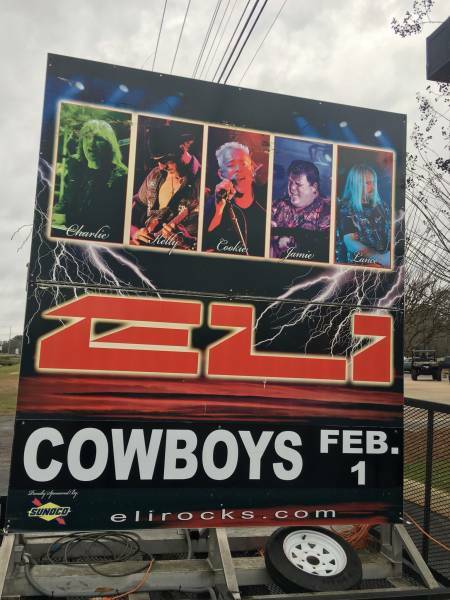 Eli Band in Concert at Cowboys Feb 1st :: RickeyStokesNews.com! Eli Band in Concert at Cowboy’s on February 1st. Tickets are $15.00 in advance or $20.00 at the door. The concert is sponsored by Harley Davison of Dothan, Michael’s Home Improvement, Outback Steak House Area 51 Customs. All ticket sales are going to the Wiregrass Children’s Home. Tickets are available at Harley Davison and Cowboys of Dothan.